I could not put a price on the value of my professional network and relationships. Since joining Trevor-Roberts and having numerous discussions regarding careers, I have been surprised by the number of professionals I meet who explain that they have ‘a limited professional network’. When I’m asked where to start I refer to this cluster model. 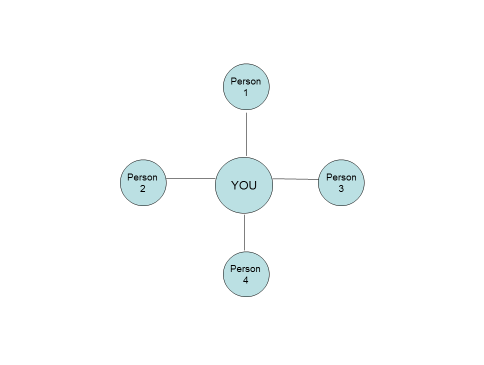 Think of four people you have a relationship with or could reconnect with, then think about who they know (or look at who they are connected with on LinkedIn, I’ll come to this). 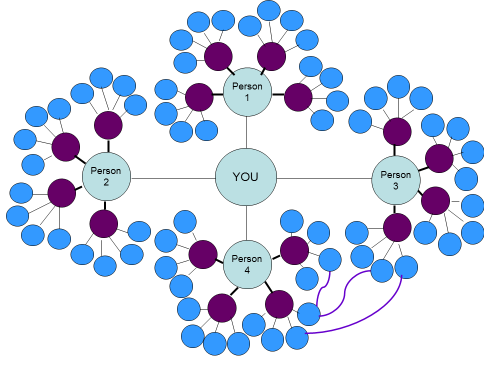 What you will discover is your network is bigger than what you think, when you consider your current role, previous workmates, associations, memberships, volunteering and even family. Get out there: Yes, I am an extrovert and energise when surrounded by other professionals but I know many people dread the thought. I have found it to be a great way to meet likeminded people. Don’t be ‘Quick Draw McGraw’: with your business cards, people can spot you at a hundred paces and will avoid you. It is not a numbers game, aim for quality relationships not quantity of contacts. Nurture the relationship: It is one thing to enjoy someone’s company at a function but it takes effort to develop and sustain this relationship. Nurturing relationships requires being face to face on occasions. It’s not all about you: Consider how you will give to relationships e.g. introducing them to a relevant professional contact, inviting them to a function or helping them to achieve a goal, rather than expecting to receive from them. Be genuine in your dealings: Showing interest in others cannot be faked! If you’re not genuinely interested in other people, then please stop reading now, as I cannot assist you. I’ll leave you with one last thought… when you need a relationship it is too late to develop it.